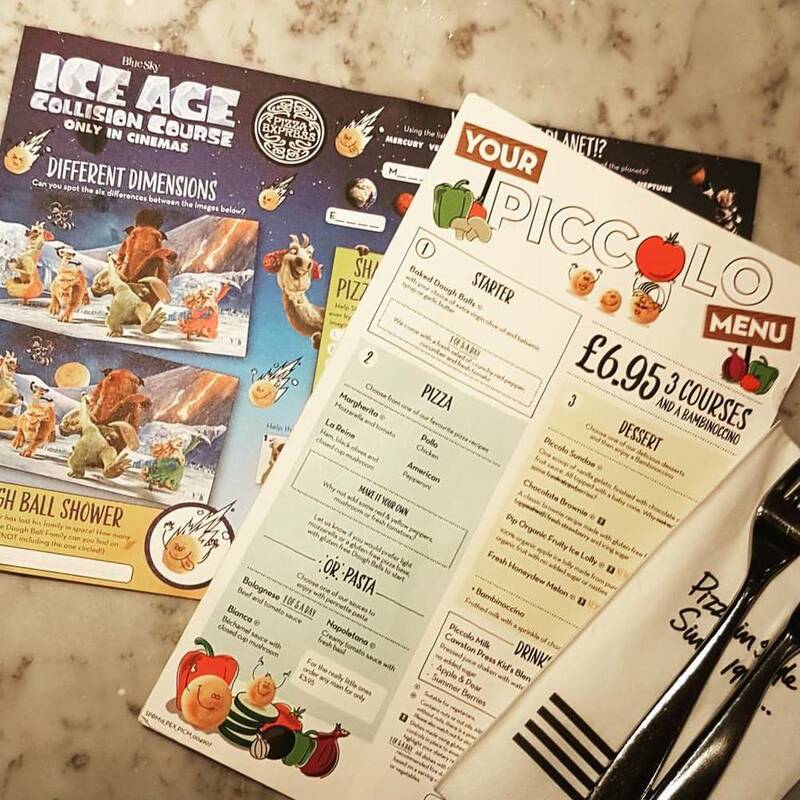 We were invited down to Pizza Express at The Oracle, Reading, on Friday to celebrate Rocky's birthday and the release of the new collaboration with their Piccolo menu and the Ice Age: Collision Course film. On arrival we were greeted with a smile and a personal welcome from Claudio, the manager. The restaurant is warm and welcoming and was full of families, laughing, joking and having a Friday night Pizza treat with their loved ones. It is always a busy place to go, especially on a nice weekend, so I would suggest to book a table where possible. Rocky is at the perfect age for their Piccolo menu at the grand old age of 4, the food is the perfect quantity and they've catered for every taste. Pizza and pasta are Rocky's favourite meals and if I'm honest I have a feeling he has a hidden bit of Italian in him somewhere. 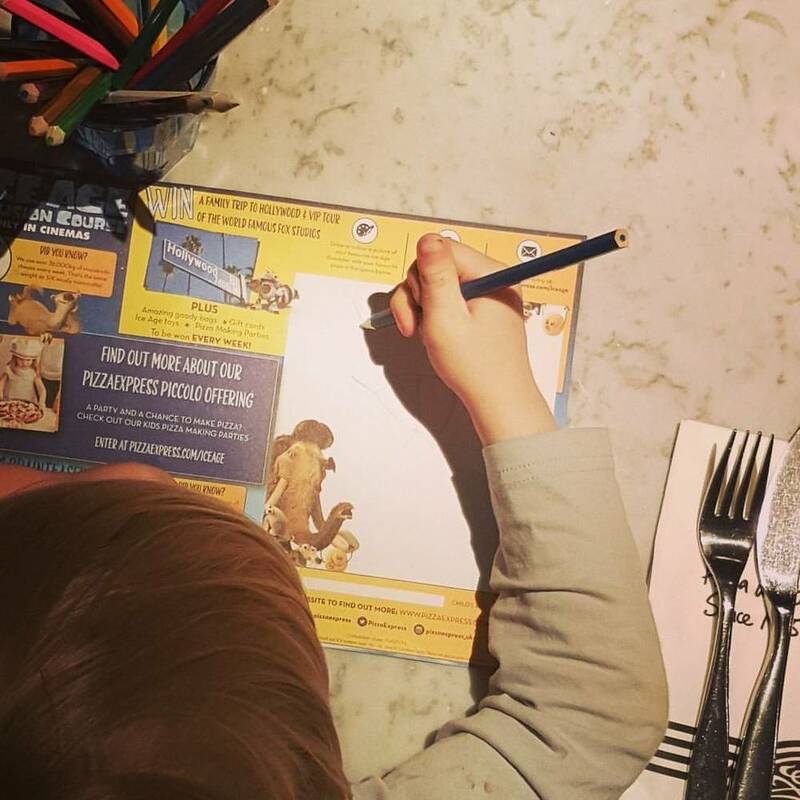 The meal was brightened up more so by the sight of his Ice Age colouring page and pencils. Rocky wasn't on his own in his love of the activity pack, Kyd was happy with it too (photo's below). Whilst Rocky got colouring, Kyd got creative with the excitement of the idea of winning a holiday to HOLLYWOOD! Yes, you read that right, Hollywood. 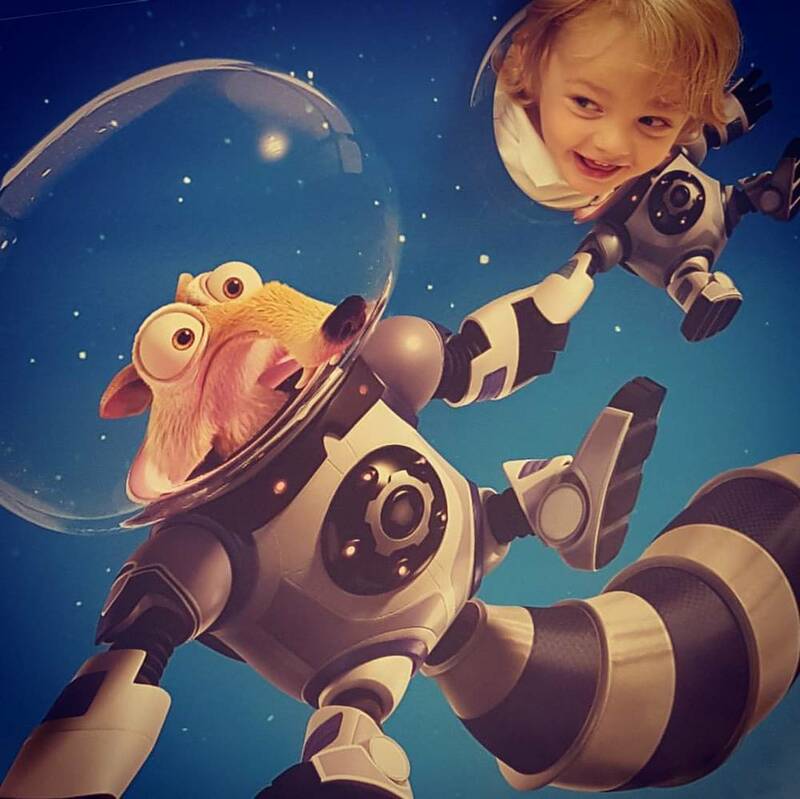 The collaboration with the new Ice Age: Collision Course film has seen an exciting opportunity for Pizza Express' little diners, just eat your dinner, create a picture and fill out a form online and you could win many prizes, including that family holiday to Hollywood. 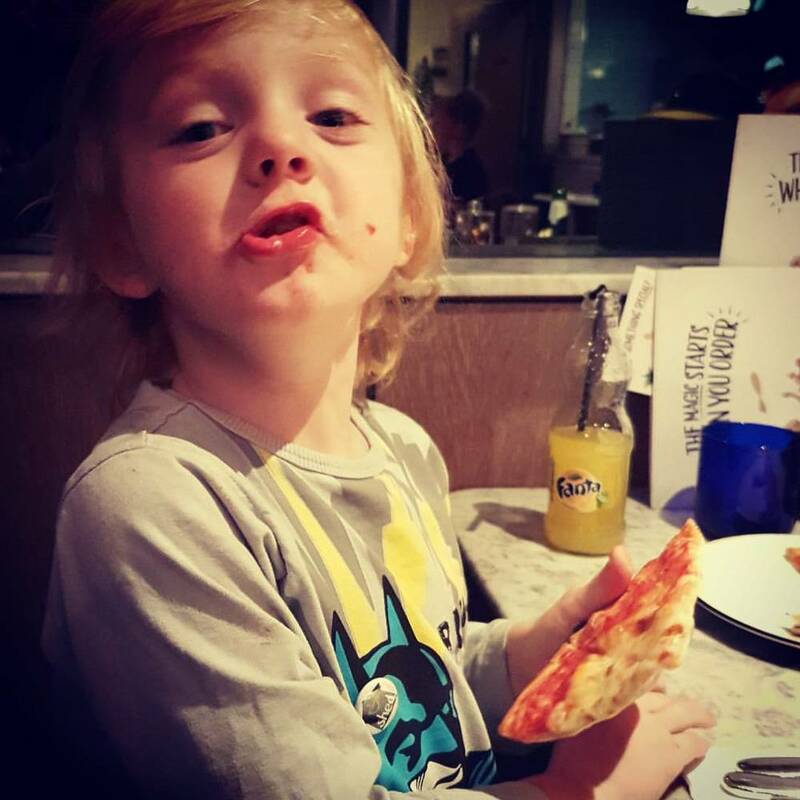 Kyd will do anything for a holiday, eating pizza for a chance to win one was no chore. 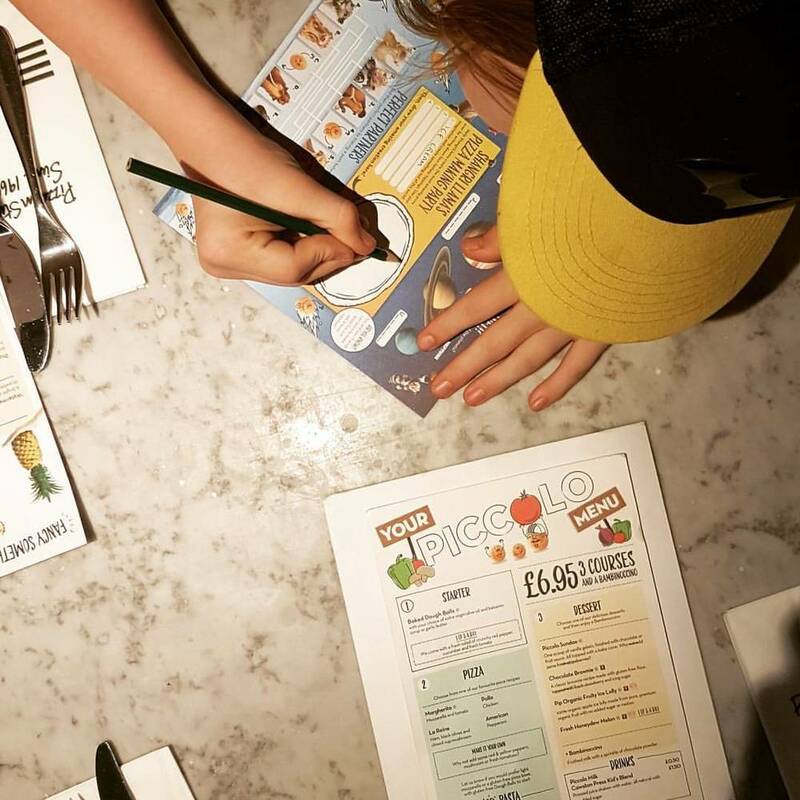 We will be booking Kyd's Pizza Making Party in for the end of September this year, he has friends who are Gluten Free and so Pizza Express are the perfect choice for this. It will get them cooking, laughing and is fully inclusive for allergy sufferers. Bring on September!